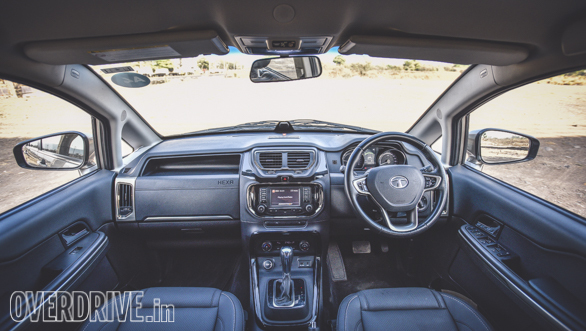 Tata Motors wanted to make sure the Hexa AT experience was a good one. 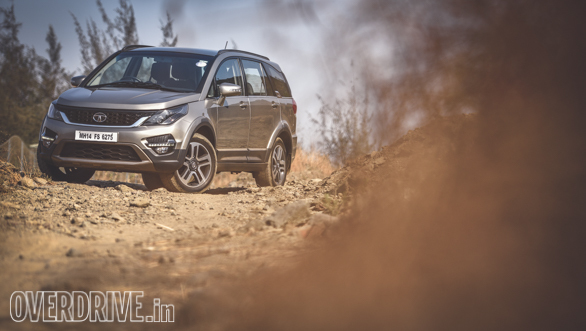 Hence, they went to Belgian transmission specialist Punch Powertrain for the Hexa's 6-speed torque convertor automatic. During the media first drive event, we were all praises for this powertrain and how smooth it was. However, given that those conditions were more of a highway trundle, we decided to take the Hexa AT out for an extensive road test through the busy roads as well as highways to see what the deal was all about. This is more of a Hexa trait, not just the AT but we must appreciate the improved engine refinement over the Aria. After all, it's the first thing you experience when you turn on the vehicle. Slot the chunky gear lever into D and you will appreciate the precise feel from the lever. Just as we found in the first drive report, the gearbox is a smooth operator. There are no transmission jerks, and the engine revolutions are matched ably to this transmission with quick responses. A slight prod on the accelerator is all you need for overtakes. Performance is also brisk, even compared with the 4x4 manual we tested earlier. It does 0-100kmph in just 12.4s compared with 15.2 in the manual. For a 2.3-tonne vehicle, this is very impressive. It's not all speed though, and daily driving smoothness is not forgotten. Shifts in Auto mode happen at around 1,500rpm while slotting the gearbox into Sport mode ensures that the tacho needle rises to just under 4,000rpm if driven flat out. Similarly, fast overtakes on the highway are dispatched with ease. In fact, this is one of the nicest gearboxes I have experienced in a vehicle of this type. The power delivery from the engine is linear, and the gearbox is clever enough to work around the engine's turbo lag. The gearbox does offer a reduction in fuel economy over the manual with an overall figure of 11.8kmpl versus 14.2kmpl in the manual. The Hexa rides well over broken roads, and we found that the ride quality improves with a full load of passengers. The brakes too are progressive, and even under sharp braking, the car doesn't lose its composure or stray off the line. 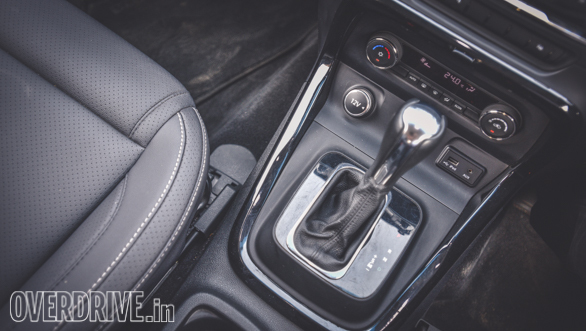 Feature wise, you don't get the Drive mode from the manual transmission variants but the other virtues like cabin space, decent plastic quality and three-row seating. The pseudo-SUV looks are also retained. That also means that some areas could improve, like the need for more cabin storage spaces, non-height adjustable seat belts and no auto-up driver side power window. 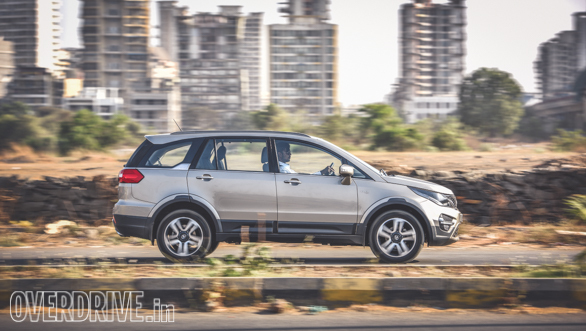 The Hexa AT offers a vastly superior driving experience to the manual transmission. Unless you really need the off-road ability from the 4x4 variants (MT only), we strongly suggest opting for this gearbox, especially if the car will be primarily self-driven.